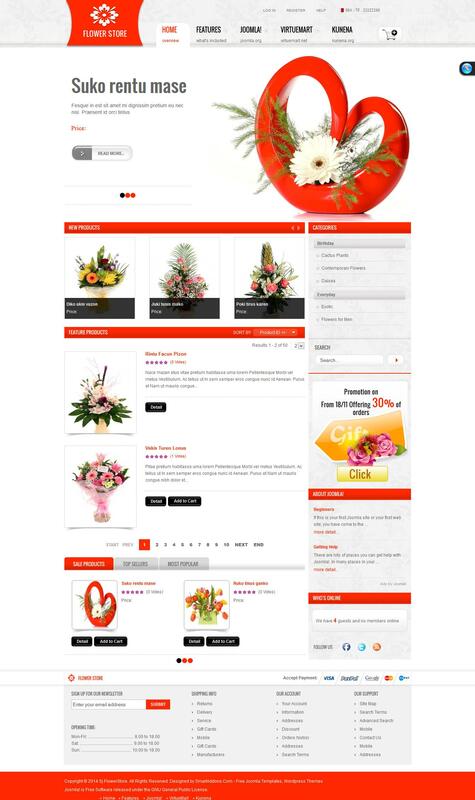 SJ Flower Store - template functional online store from the team SmartAddons with full support for a variety of mobile devices. Design template includes seven preset styles that will help you choose an elegant look website. Through the use of proprietary platforms YT Framework, template supports 4 types of menus, multiple modular variation, support different fonts, and more. Availability serial download images as you scroll the site in the browser, the template gives faster page loads. The structure of the template includes additional extensions studio providing a visual display of products and convenient site search.